When her daughter Bee claims a family trip to Antarctica as a reward for perfect grades, Bernadette, a fiercely intelligent shut-in, throws herself into preparations for the trip. But worn down by years of trying to live the Seattle life she never wanted, Ms. Fox is on the brink of a meltdown. And after a school fundraiser goes disastrously awry at her hands, she disappears, leaving her family to pick up the pieces--which is exactly what Bee does, weaving together an elaborate web of emails, invoices, and school memos that reveals a secret past Bernadette has been hiding for decades. 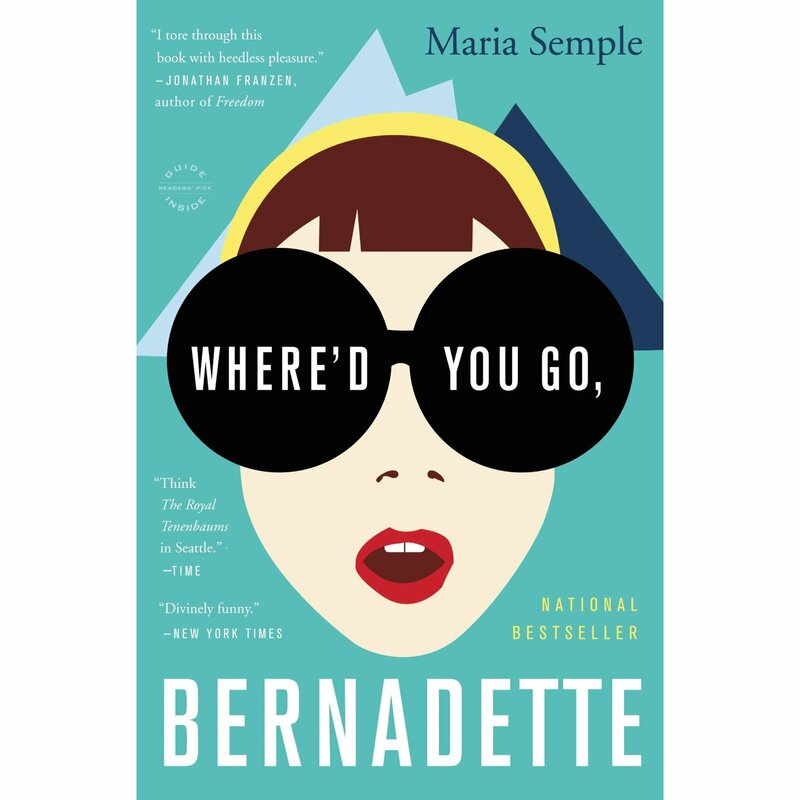 Where'd You Go Bernadette is an ingenious and unabashedly entertaining novel about a family coming to terms with who they are and the power of a daughter's love for her mother. This is one of my all-time favorite books. I loved the wit and wisdom of Bernadette: She is a brilliant, agoraphobic (non-practicing) architect who won a MacArthur genius grant early in her career. 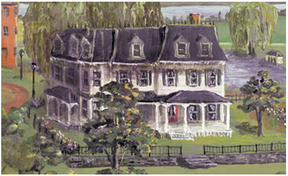 When a pet LA project is literally destroyed, she agrees to move with her husband Elgie to Seattle. Elgie's also a wonder: His animation company has been absorbed by Microsoft, and he heads a division of the software giant. He also gave the fourth most popular TED Talk of all time. The couple purchase an abandoned school as their home and never renovate it. People in their income bracket don't live in squalor like they do: buckets catching rainwater through leaks in the roof; blackberry bushes growing through the floors; and doors that get stuck shut due to humidity. Bernadette hates Seattle: the people, the weather, the lack of culture, and especially the gnats. 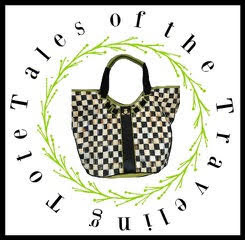 The gnats are the annoying volunteer moms at her daughter Bee's laughingly liberal school. A big chunk of the narrative is epistolary, and the school's newsletters are memorable and laugh out loud funny! Bernadette is so disgusted with her environment, she hires a VA (virtual assistant) in India to do everything for her so she won't have to interact with stupid people. A series of misunderstood and unfortunate events lead to Elgie's decision to have Bernadette involuntarily committed to a mental hospital, but before this can be achieved, Elgie learns that Bernadette is a person of interest in an unbelievable FBI investigation. Here is a trailer for the movie Where'd You Go, Bernadette. The movie is scheduled to be released on August 9th of this year. I'm afraid I read her second novel and didn't care for it at all, so although I know lots of people adored this book, you'll excuse me if I not bother. Great review, though! This is the first book of hers I've read. Thanks for telling me about her second novel! This sounds very good. Hope the film adaptation does it well! I have not read it.. I will do. Will you see the film? It sounds so interesting. I just ordered it on my Kindle app. I've heard lots of raves for this novel but have yet to pick it up. The movie trailer has me very interested as well. I enjoyed this book! Thanks for sharing the trailer too.